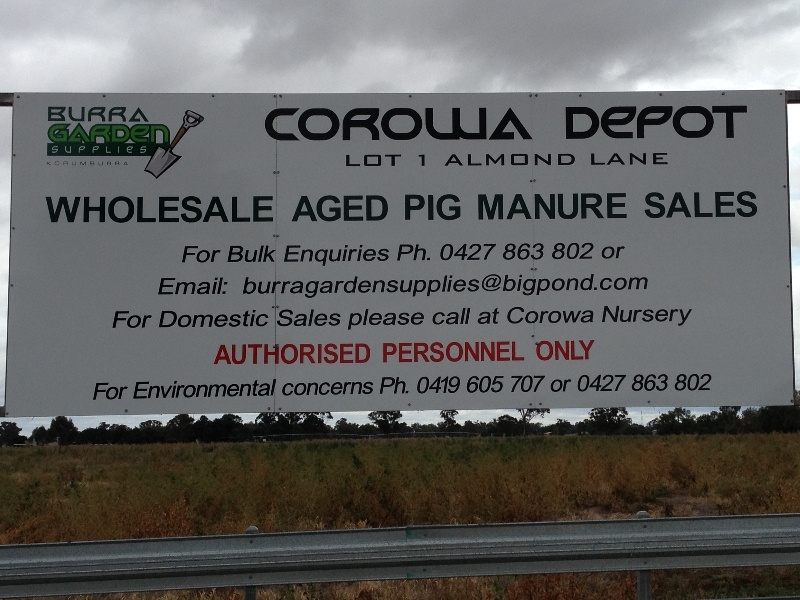 Based in Corowa, NSW we truck out of the Rivalea Piggery between 8-10,000 tonnes of pig manure each year to our site. We then age it, screen to a friable consistency then send it all over the Eastern seaboard, and into NSW. Whilst the pig manure is primarily used as a conventional fertiliser substitute for agriculture, it is equally useful for the home gardener. We can supply any amount from a bag, trailer load, to bulk truckloads. 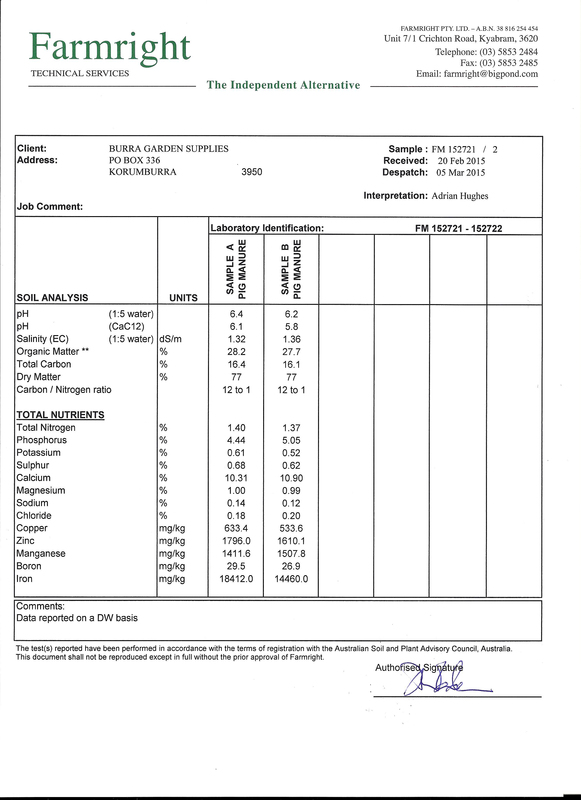 Please find following a typical analysis for your perusal, click on the link to view. Copyright © 2013 Burra Garden Supplies PTY LTD, Powered By A Network All Rights Reserved.